The add-on Avare External I/O Plugin app enables the Avare app to connect via Bluetooth, WiFi or USB with external devices like ADS-B and GPS receivers or aircraft autopilot equipment, and with external apps like flight simulators and gaming. Note that no plugin is required to use the GPS built into your Android device running the Avare app. Refinements and new features are added frequently, so please be sure you use the latest versions of the Avare External I/O Plugin and Avare apps, and that your Avare Database and charts are up to date. Below are descriptions of how to use this Avare External I/O Plugin app with Avare.Once you’re familiar with the process, it’s pretty quick and easy. For the latest tips and details, see our Apps4Av Forum, where you are also invited to share any questions or discover your own helpful tips. Thanks to user “avco” on our Forum for the earlier post there that formed the basis of this HowTo article. The add-on Avare External I/O Plugin app can use Bluetooth to connect the Avare app with external GPS units like the XGPS150, and with ADSB/GPS receivers like the XGPS170 for location, weather, and traffic. 1) When the external GPS / ADSB device is turned on and paired with the Android device, select the device name from the drop down list in the Avare External I/O Plugin app. 2) Press Connect. The device will start sending location updates, weather and traffic to Avare through the Avare External I/O Plugin app. The add-on Avare External I/O Plugin app can use WiFi to connect Avare to ADS-B receivers like iLevil, and Skyradar DX for location, weather, and traffic. 1) When the external ADS-B device is turned on, it creates a WiFi network. Connect to that WiFi network from the Android device’s WiFi manager. 2) Enter the port number (43211 for iLevil, and Skyradar DX). 3) Click the checkbox next to the port text box. The device will start sending location updates, weather, and traffic to Avare through the Avare External I/O Plugin app. The add-on Avare External I/O Plugin app can use USB-serial to connect Avare to ADS-B receivers like Skyradar DX for location, weather, and traffic. 1) Exit the IO module. 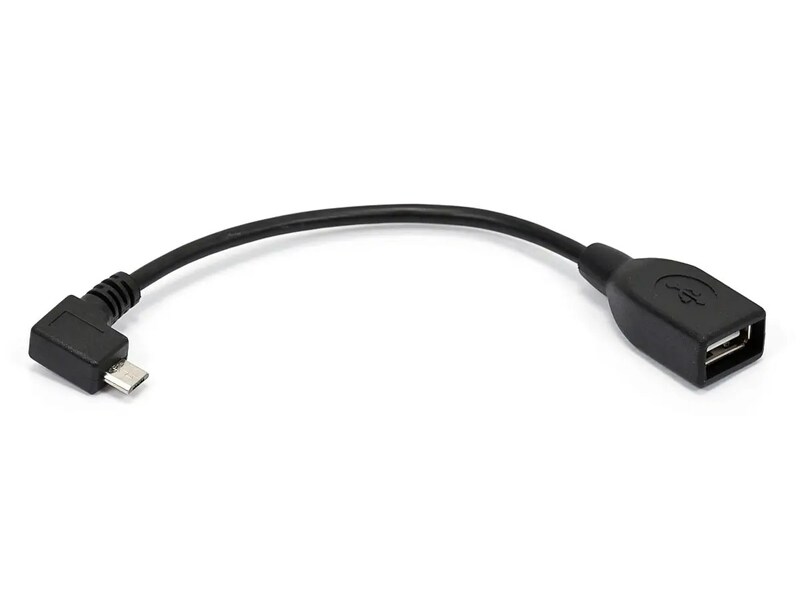 Connect the USB serial port of the device to the Android device using a USB OTG cable (the cable shown below). A regular USB device cable may be required in addition to the OTG cable. 2) An Android pop up may appear, asking for permission to use the USB device with the IO module. Allow the permission, and the IO module will start up. 3) Go to the USB In tab, select the appropriate serial port parameters (230400,8,n,1 for the Skyradar DX), then press Connect. The device will start sending location updates, weather, and traffic to Avare through the Avare External I/O Plugin app. The add-on Avare External I/O Plugin app sends RMC NMEA position updates to Autopilots connected to Bluetooth Serial connectors like the RN240. 1) With both devices on, select the correct Bluetooth Autopilot device from the drop down list on the Android device, then press Connect. 2) If the Bluetooth Serial device is active and paired with the Android device, the Avare External I/O Plugin app will connect with it. Position will be sent when Avare is running and GPS satellite updates are acquired. 1) Make sure your Android device running Avare and your computer are on the same WiFi network. 2) Launch X-Plane, select Settings -> Net Connections, and then choose the “iPhone/iPad” tab. 3) At the bottom of the iPhone/iPad tab, check the box next to “Send data to ForeFlight Mobile.” Make sure that the IP address and port shown matches that shown on the add-on Avare External I/O Plugin app, enter IP 192.168.0.6 and 49002 and check mark both boxes. Make sure GPS is disabled in your Android device Settings. Launch the Avare app, answer No to “GPS enable” and send Avare to the background (press Home button, do not Exit). Launch the add-on Avare External I/O Plugin app, and proceed to step 4 below. 4) Mark the checkbox on the XPlane line on the add-on Avare External I/O Plugin app to start receiving position from XPlane. 5) Send the add-on Avare External I/O Plugin app to background (Home key, do not Exit). 6) Reactivate Avare (press the Avare icon or select Avare via your task switcher). 7) If a chart does not display in Avare go to “Options” (square button icon above “Map” in map mode), and toggle “Navigate” to “Simulation.” Then click the “Find” icon, select your airport, go back to “Map”>”Options” and toggle “Simulation” back to “Navigate.” You should now have the chart displayed. If no joy repeat steps 5-7. Use your XPlane to fly with Avare. 2) Copy the XML text below and paste it into a new text document you create named “Avare_protocol.xml” in C:\Program Files\FlightGear\data\Protocol (or wherever it’s installed on your system, $FG_ROOT\data\protocol). Test setup used: Desktop PC, win 7 Pro 64, with “MS FSX Gold” with “XConn” Ver. 0.5 and Samsung Tablet 7″ or 10″ running Android Version 4.1.2. See our Forum if you’re interested in the latest on attempts to connect with older versions of MSFS. Note: “XConn” by Ubi Sumus, Must be installed and used to output NMEA to LAN port. To locate, search for “ms fsx nmea output” on the Internet. In “XConn” enter the IP 192.168.0.6 and the 49002 in “Output” selection. We changed the Baud rate to 4800 in the “xConn.cfg” file but that step may not be needed. 1) Make sure your Avare device and computer are on the same WIFI network. 2) Start XConn and verify IP 192.168.0.6 and 49002. Note that if this entire process fails in the end, one thing you could try is reading the XConn instructions related to “Window mode-Alt+Enter and start XConn” and reverse steps 1 & 2 here. Make sure GPS is disabled in your device Settings. Start Avare, answer No to “GPS enable” and send it to background (press Home key, do not exit). Start the add-on Avare External I/O Plugin app. 4) Check the checkbox on the FSX line on the add-on Avare External I/O Plugin app to start receiving position from FSX. 6) Reactivate the Avare app (press icon or use your task switcher). 7) If Chart does not display in Avare go to “Options”, (icon above “Map”, in map mode only, and toggle “Navigate” to “Simulation”, click “Find” icon >click on your airport, go back to “Map”>”Options”, and disable “Simulation” / enable “Navigate”, you should have the Chart. If no joy repeat steps 5-7. Go to your FSX, and fly Avare.